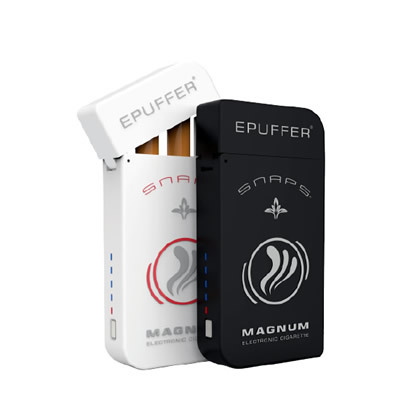 ePuffer adds a new electronic pipe to bolster our globally renowned e-cigarette and vaporizer brand. We know you’ll love it and its absolutely splendid look and exquisite taste. The ePuffer Electronic Pipe (e-Pipe 629 X) Limited Edition - New 2019 Model is a master’s work. The luxury pipe possesses a deep mahogany body and runs with a state-of-the-art liquamizer that enables smooth vapor and air flow. With its classy appearance comes added economic value that ePuffer boasts. 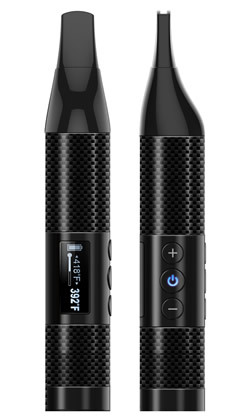 The key to this added value is the liquamizer itself, which makes this line of electronic smoking pipes the cheapest sold in the vaporizer market. This might be the ideal gift for healthy e-smokers. This product just screams elegance, posh, and sophistication that you won’t believe that it’s actually marketed as one of the more affordable options. What a way to make a shard of the elite life attainable. Is there anything new? Well, of course. Other than the smooth direct airflow made possible by a protective system, the 629X comes with a LED cap made of Zirconia, a crystal that was once used in space travel. This crystal cap may be in black crystal form. Let’s start with the most obvious. The woody goodness starts here. Wood Bowl – It’s no surprise that the e-Pipe 629 X Starter Kit includes parts that perform at a commendable level. One star of the show is the Electronic Pipe 629 R2 Real Solid Wood Bowl. This cherry wood bowl has an automatic airflow sensor – and it’s powered by a Removable 18350 Lithium Battery. This stylish vape works with ePuffer X-Pro Variable MOD battery (which runs at 3.5-3.7V and 6.0-7.0W), ePuffer Phantom HD3 and 510 thread Variable MOD batteries. Pipe Stand –The pipe kit comes with a Solid Wood Electronic Pipe 629 Stand made of fine pear wood. This uniquely styled pipe stand is a limited edition product hand-polished to perfection and made foldable for convenient storage. To purchase this wood pipe stand on its own, you can buy it right here on ePuffer. Box – The box that contains it does not come short, either. It also possesses the mahogany wood body the pipe has. Its look makes people imagine a library of a stereotypical English gentleman where the e-Pipe 629 sits on a table made of polished wood. Look at the wooden gift box as the cherry on top. The kit is just not the same without it and you know it makes a world of difference if you give the e-pipe as a gift to a loved one. Without it, it would still be a class gift but the box just makes it a god among e-pipes. Despite the flashy presentation, this e-Pipe 629X 2019 model is not just about value for money. It also stands for convenience and experience. The refill system of this pipe will not require you to buy cartridges for refill nor will it cut down the pipe-smoking experience you expect. Like other vaporizers, it is made to provide a somewhat healthier alternative to traditional smoking consumables. 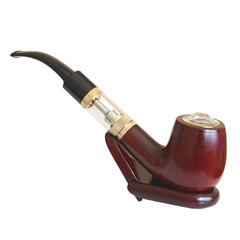 Mouthpiece – This fashionable e pipe has a black plastic mouthpiece. The Electronic Pipe (e-Pipe 629) Spare Stem Mouthpiece can be bought separately and directly from ePuffer. Liquamizer – The elite confidence this ePuffer pipe exudes is strongly backed by the new e-Pipe 629 X Liquamizer MOD Tank. This is what the vape experience is all about. It has 3.5ml tank capacity, a 510 connection thread, and an atomizer coil that has a resistance of 1.5 ±0.1 Ωohm. The body is basically a tempered Quartz Glass Tank, making it strong against corrosion and resistant against high temperatures ranging from 1700°F to 2200°F. The glass tank is 42mm long (109mm if you include the pipe mouthpiece) and has a diameter of 19mm. The new E-Pipe Glass MOD Tank system is specifically designed and crafted to appeal to strong vape enthusiasts all over the world and is projected to be a prime choice of heavy vape users . This treasure is the jewel of the pipe and it can be replaced by ordering from ePuffer directly. Separately sold, the Liquamizer 629 (Clearomizer) Tank with Mouthpiece Stem on its own conveniently comes as a spare. Another Clearomizer-designed Liquamizer is sold as an individual item. It is also known for the same smooth draw, high-quality vapor, and rich full flavor it creates. This is economic value beyond what is expected. It is 34.5mm long, 19mm in diameter, and possesses a tank capacity of 2.5mL. The resistance it works at is 2.1 ±0.1 Ωohm. Atomizer – The replaceable atomizer, or heating coils, are available with the kit as three spares and is also available as an individual item in the maker’s website. Made of U.S Kanthal coil wire, this ePuffer Electronic Pipe 629 X ceramic base spare atomizer has advanced dual chamber technology that guarantees leak-free, top-of-the-line experience. The atomizer coil resistance is at 1.5 ±0.1 Ωohm. Have a taste of exclusivity as this ceramic atomizer works only with e-Pipe 629 X Liquamizers. Battery - The fuel of this pipe are two pieces of High Drain IMR-1100mAh Rechargeable Lithium Batteries. Rest assured that ePuffer wants you to prolong your elegant smoking experience as much as possible. E-Pipe 629 Spare Rechargeable Battery. The battery loaded in the pipe bowl can be charged separately by lodging it into the charger after removing it from the bowl. You can also charge it while it’s still attached to the bowl. This CE-certified 18350 model comes in grey or blue when you buy it from the manufacturer’s website. Charger – The electronic component will never be complete without the genuine ePuffer Electronic Pipe 629/605 X Universal Battery Charger. This charger is high-grade. It has LED charging indication, and a built-in fuse to guarantee safety. This way, it protects you from dangers like short circuit. This portable lightweight charger comes with a 1-year manufacturer warranty. Perks – All these fancy elements offer humble generosity, still. The kit actually comes with a free ePuffer e-Liquid bonus and is available with a 6% discount if you buy it right here on our website. The e-liquid, however, is only available while supplies last. Interested and economically wise people are advised to take advantage of this bonus – buy now! Now we proceed to the more important question that needs to be answered: What’s in it for you? First of all, you will be an alpha among the crowd once you whip this out in the public. Truth be told, the e-pipe design bar was raised when we came up with the E-Pipe 629. It looks as if you can actually smell the wooden odor. It is every vaper’s dream to see the classic tobacco pipe turned into a avid vaper’s prized item. Now, how can one maximize the splendor of this high culture vape? This electronic pipe has to be the closest one to the real thing. Before everything else, we must make sure that you retain your grace as you show of your new artwork of a pipe. Let’s start with nicotine levels. Don’t try e-liquids that have nicotine levels beyond 24mg/ml. Extra-high strength does not mean extra-high smoothness. You’re holding pipe, not a joint or a cigar. Also, the e-Pipe 629 R2 2016 Limited Edition is known to produce strong vapors. Newbies may get knocked out if they can’t control their nicotine doses. Now, we proceed to the ideal flavors for this epipe. 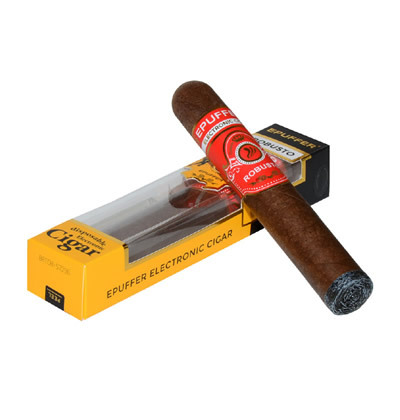 Suggested flavors that fit its vibe are ePuffer Premium Tobacco and ePuffer Havana Cigar, if you want that classic landowner feel while huffing and puffing. Virginia, Belgo, 5 X 5, Mirabella, and Canadian may work too. All of these flavors can be bought right here on ePuffer. E-liquids with colorful flavors aren’t really compatible with this Limited Edition epipe’s aura. It does not scream party and playfulness at all. It’s a classy, in-control, and powerful vape. But at the end of the day, you can’t really argue taste, right? An option you can do as a vaper is mix e-liquids and formulate your own preferred flavors. In terms of added consumer value, the 629-X is top notch in terms of features as a whole, battery life, design, and e-liquid life. It’s certainly an e-pipe to behold, not just because of its appearance, but because of its value for money and its absolute elegance. The experience is unbeatable and as close to the real thing as it can possibly get – but with far more customization options available to the end user. What more could you possibly want? For best results, don’t look anywhere else – buy the product right here at EPuffer. You’ll surely be pleased by our shipping time and presentation.